The book is split into a Side A and a Side B with two front covers. Side A, using bright, warm colors that are close to neon, represents the birth of the mixtape up until the invention of compact discs and evokes a DIY style reminiscent of the passion felt when creating mixtapes in their heyday. 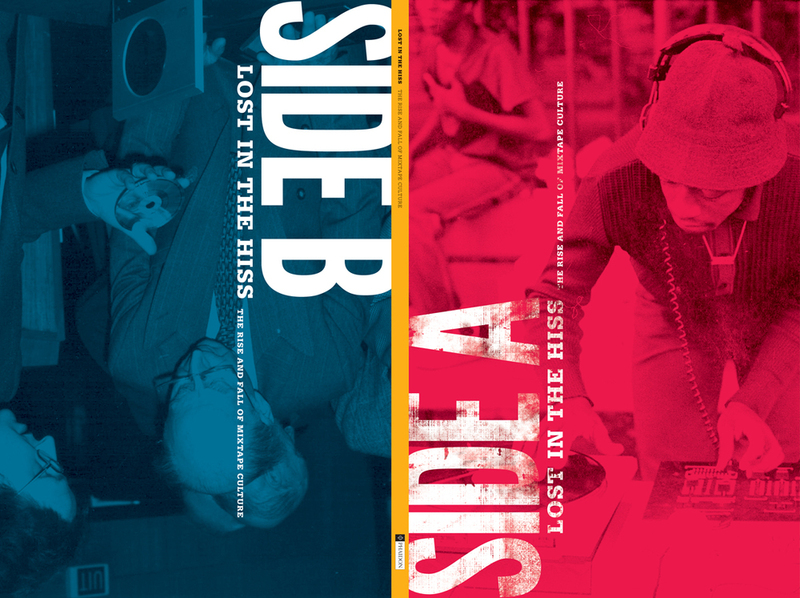 Side B, using a cooler color scheme, describes the death of the mixtape on cassette during the time of the compact disc’s rise to popularity and represents a less emotional, more systematic approach to making mixtapes in the advent of home duplicating technology and ends with the introduction of the iPod, iTunes and the beginning of brainless digital playlists. Reading the book, the reader should be able to see how the passion and emotion of the mixtape has been lost in time due to the speed and effortlessness of modern music distribution.